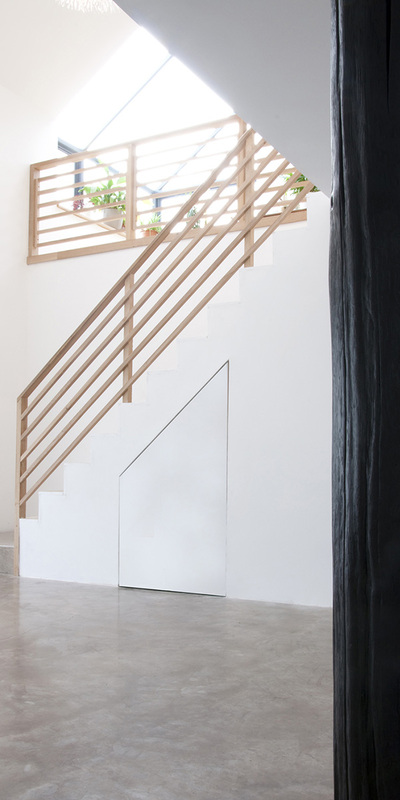 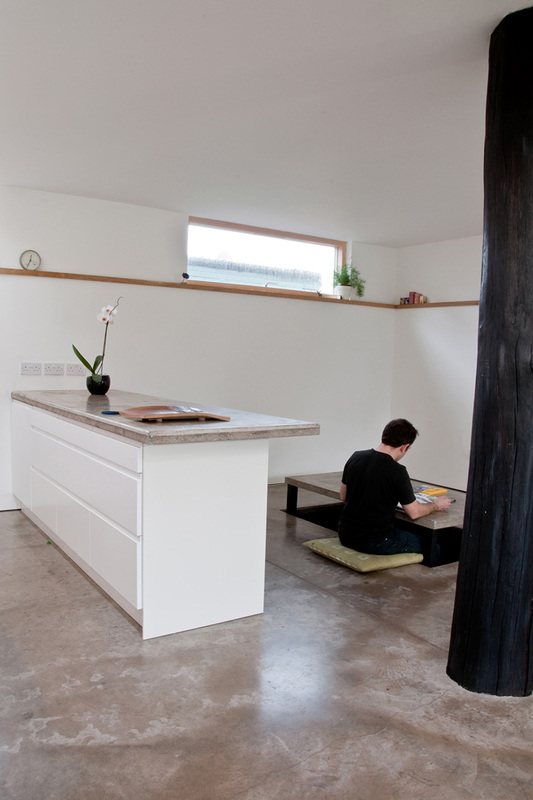 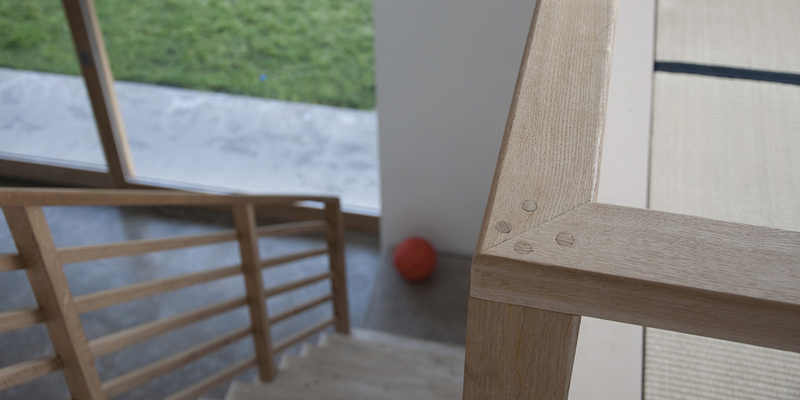 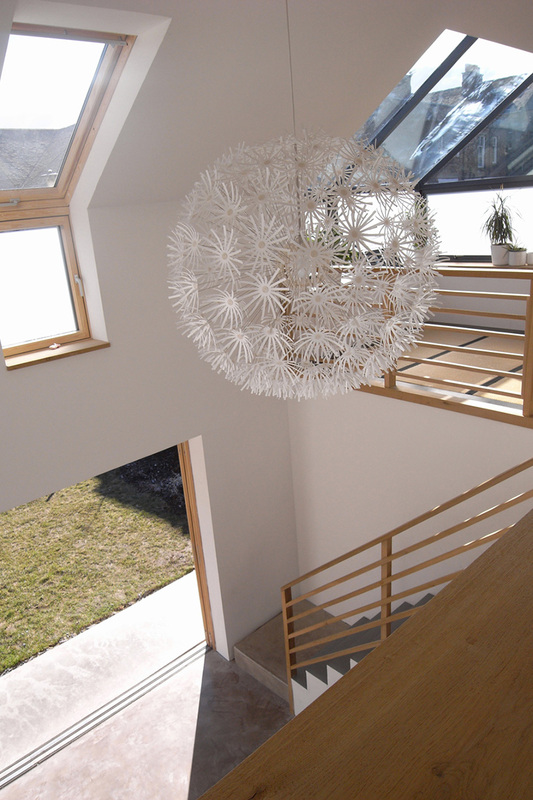 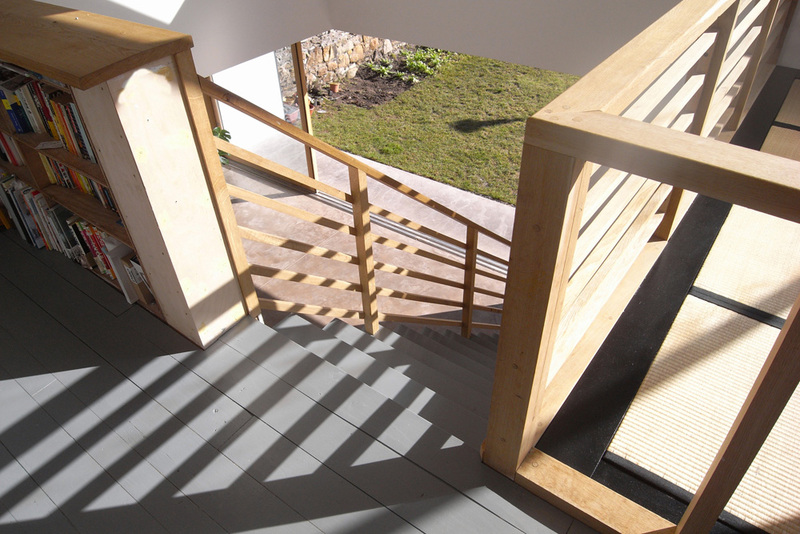 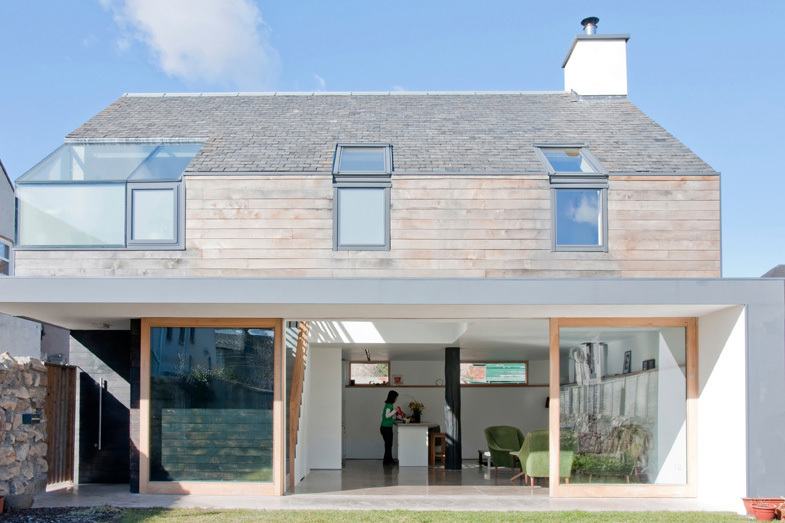 The two-storey house is engineered in locally sourced timber, which exhibits a Scottish-Japanese influence. 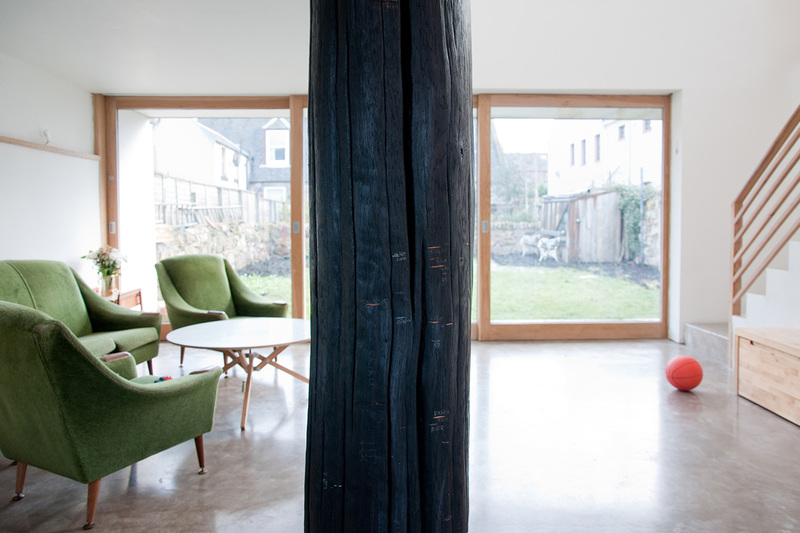 The open-plan ground floor living space is set around a large oak post (essentially a tree trunk found on a forest floor) or daikokubashira, the surface of which has been charred and burnished. 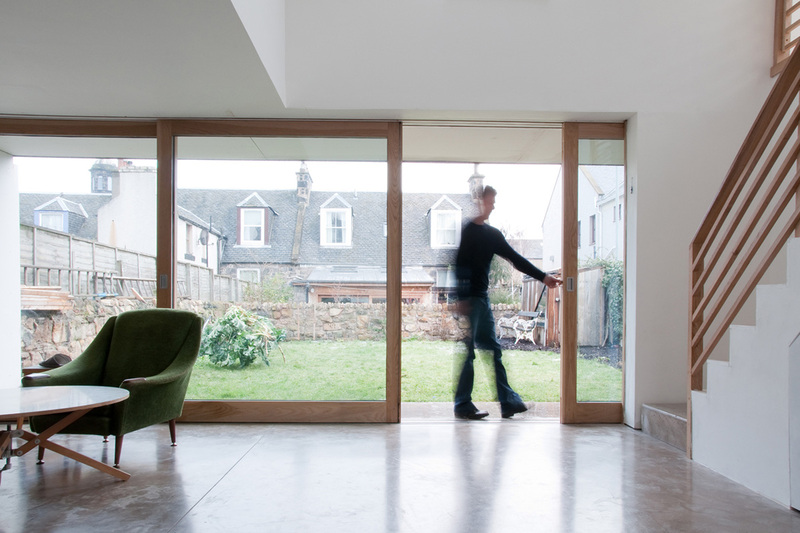 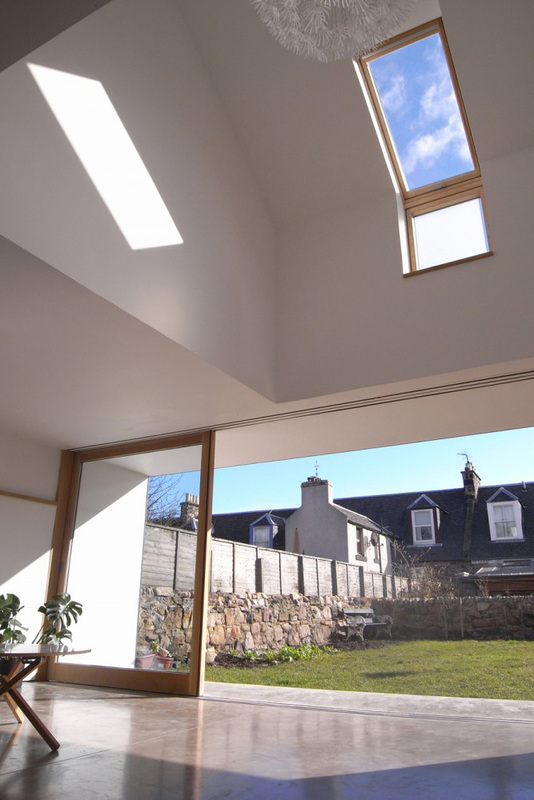 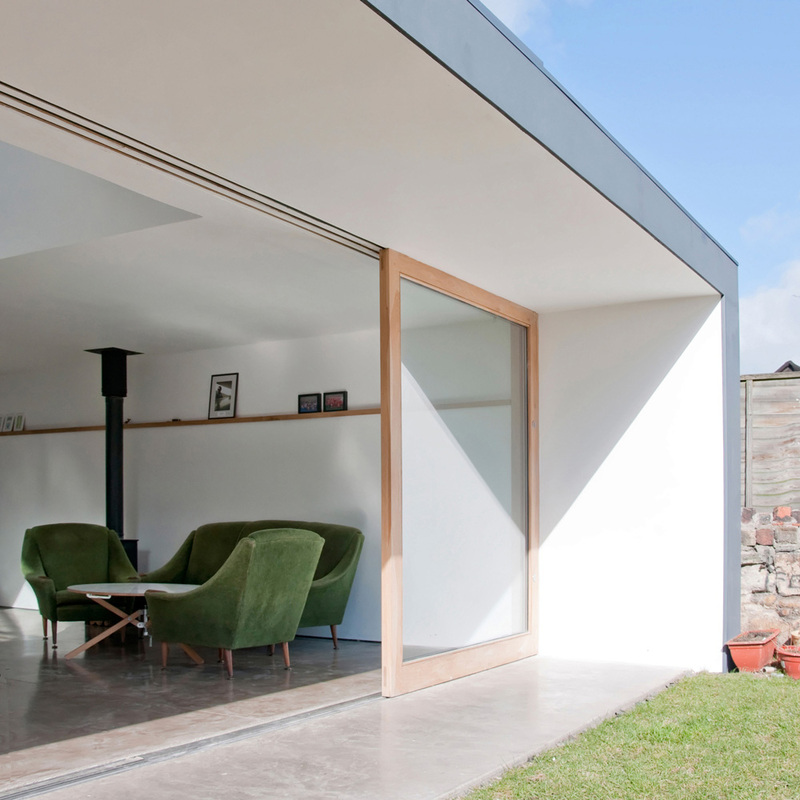 Large roof lights make the most of the low Scottish sun while a cantilevered canopy the full length of the house shades the 6m wide sliding doors that open the living area to the garden.